The minute I picked up the book, I was already prospering! Regularly it sells for like $7. The price tag on the book said $3. And I bought it for $1.50…Quite the deal! Prospering already!!! This is a very small 64 page book; yet it is packed with timeless information that will serve you the rest of your life, if you choose to let it! Normally when I read a book, I underline quotations or ideas that I love and I dog ear that page so I can remember to go back to it when I blog. I found it very difficult to underline quotations in this book because I found myself underlining almost everything! 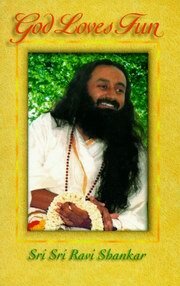 This book is packed with affirmations to help you live a prosperous life! It also has very definite instructions on how to live your life so that the result is prosperity! It is very clear and concise! If you are like most Americans (I won’t dare speak for other countries), you probably live pay check to pay check and are over extended. You probably worry about how a bill is going to get paid, and your next paycheck is already spent before you even see the money in the bank! Are you tired of living that way? I know I am! My best friend is a single mom with 3 children. I adore her! She totally impresses me with the way she lives her financial life! She manages to have a savings account and I never see her worrying about how she is going to pay a bill. I don’t know how much she gets paid, but I know how much WE here at this house get paid, and our story is MUCH different! I often find myself asking the question, “Why???? ?” Granted, the way I feel about money is ten times (maybe even more) better than it was back in 2006! I have done alot of healing around money since then. Back then, I had severe panic attacks and was constantly worried about money and stressing over money. Not so much anymore. But now it’s time to peel back another layer and make some more changes!!!! While reading this book, none of it was new to me. I have read and/or heard these principles before. Nothing new, but as every day is a new day and we are constantly changing, sometimes even things we have heard before take on new meaning to us. Thus is the case with this book! 1) Create a vacuum to receive: clean out negative/old ways of thinking/beliefs that are no longer serving you. Clean out your house, garage, closets, cars of things that are cluttering your space. There is so much more to this book. If I continued writing, it would be longer than the actual book itself. Since it is sooo short, I seriously recommend you purchase it yourself. It will change your life! As you might have guessed. I LOVE books. So a trip to the book store for ONE books, usually means I come out with 2 or 3 of them. 🙂 So it should be no surprise to anyone that when I went to the book store to pick up The Four Agreements and The Fifth Agreement, I decided to look around at what else was out there. 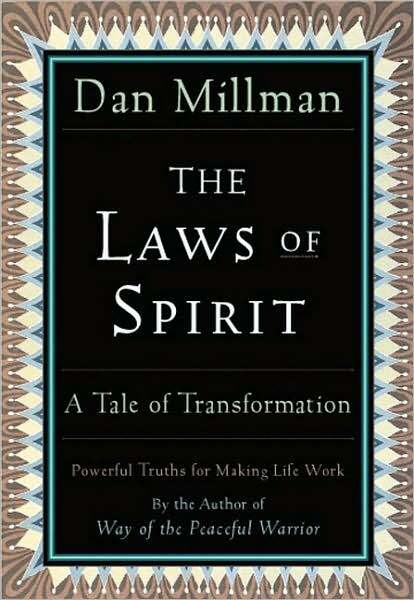 Sure enough, I came across a book by Dan Millman that I had no yet read: The Laws of Spirit. At only 110 pages, I thought this would be the perfect book to read while I waited for my friend who was having surgery. It’s a narrative about a man who takes a hike and comes across a hut with a sage living there….way up in the mountains. He ends up spending a couple of days with this sage and they hike through the woods. While spending this time with her, she shares with him the Laws of Spirit. It is a spellbinding journey that is sure to delight you and inspire you to grow. I LOVED it! Here are a quick list of the laws as listed in the book: Balance, Choices, Process, Presence, Compassion, Faith, Expectation, Integrity, action, Cycles, Surrender and Unity. At the beginning of each chapter there is a philosophical/poetic passage about each law, and then there is a quote by some great thinking/author/spiritual person. This book is a treasure chest filled with gems! “No cat I have ever known gave much due to past or future. Like the wisest of sages, cats live each moment afresh.” I’ll let you figure out which Law this pertains to :).